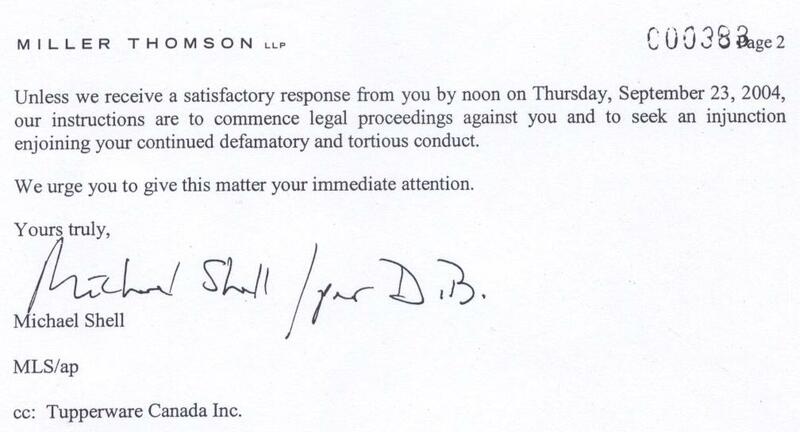 Franchise freedom of speech and association in Canada, circa 2004. 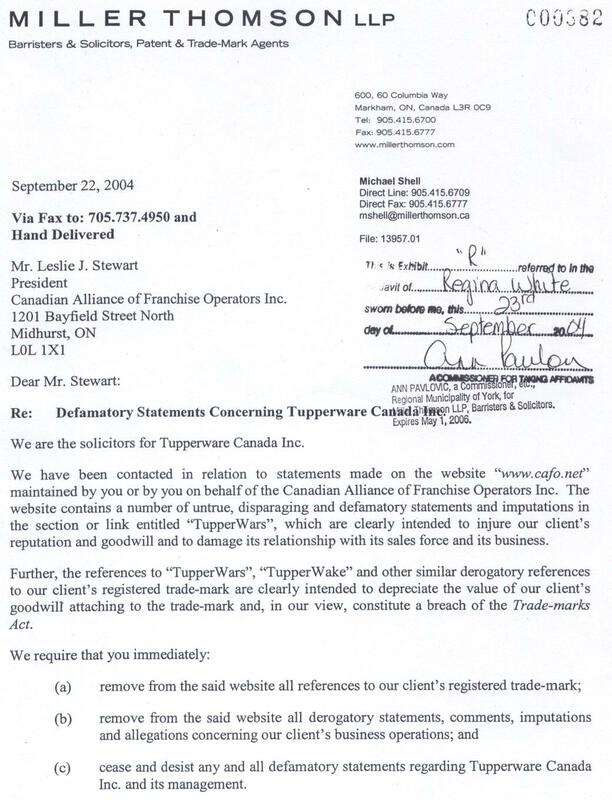 Two pages of a Record of Motion filed in the Ontario Superior Court of Justice by Michael Shell and Drazen Bulat on behalf of their client, Tupperware Canada Inc. on September 23, 2004. – and- I voluntarily closed down the “TupperWars” section of CAFO‘s website in response to this challenge (see context). This happened days after we (for the first time) sent out a series of emails to U.S. franchisees/distributors. We received zero requests to stop the emails from franchise investors.